We present you the day trip to Agra by luxury train from Delhi @ US$ 80 Per person. There are minimum two people required to enjoy this rate. This rate applies only when you take the same day Agra trip by train. 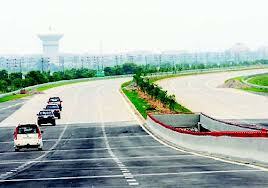 Same day trip to Agra can be customized by road also as many travelers prefer to travel by car/ coach to Agra from Delhi. Agra is 210 km away from Delhi. It takes 3 to 4 hours to reach Agra by surface from Delhi. We provide the transportation depending upon the size of the group. The above mentioned rate is not applicable for Agra day trip by road. The advantage of taking same day Agra trip by road is , that you can stop at any place en-route and enjoy the country side. However, train is the most preferable mode of transportation to go to Agra by the tourists. From New Delhi to Agra, Shatabi train takes only 1 hour and 50 minutes while by car , it is around 3 to 4 hours drive. In Shatabdi train , you will get breakfast on board and dinner also on way back. 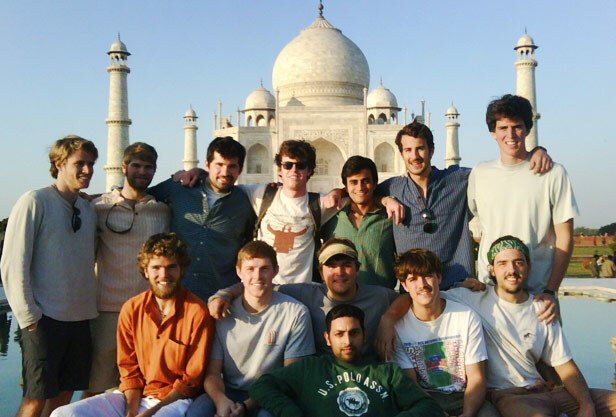 We have customized the same day Agra tour in such a way where you can enjoy the city of Taj at fullest. We also show you the majestic Red fort of Agra and “The abandoned city” Fatehpur sikri in a day trip to Agra by train. You will be taken for the city tour of Agra by the government approved guide which will make you understand what Mughals and their architectural style is all about , which can be seen in the buildings they built in and around Agra city. Taj Mahal is located on the bank of river Yamuna, regarded one of the most beautiful building in the world. Though it is mausoleum built by Mughal emperor Shah Jahan in 16th Century in the memory of his beautiful wife Mumtaj after her death. It was an untiring hard work and continuous labor of 20,000 workers for about 22 years for making this wonder of marble, and attention to every detail and tremendous planning that had finally paid off in the form of the most beautiful building of the world the “Taj Mahal”. The symmetry of the structure of Taj Mahal is worth seeing. By seeing the Taj Mahal, you can imagine that how difficult was to built such a wonder without having any sophisticated devices and modern engineering work that time .The marble was used at Taj Mahal had come from the place near Jodhpur called “Makrana” .Makrana is a small town in Nagaur district of Rajasthan and known for its while stone as marble. Agra is home to several other tourism attractions like Agra Fort, Fatehpur sikri, Sikandara etc also belongs to the Mughals. The main objective behind our Same day Agra trip is to make our clients visit an architectural wonders by Mughals , The Taj Mahal one of the wonders of the world and has been the source of inspiration over the generations of art lovers. The men behind this marvelous creation of marble was the Mughal emperor Shah Jahan who built Taj Mahal in remembrance of his beloved wife the beautiful Mumtaj Mahal after her death at the age of 39 during childbirth of fourteenths one. Mahal. Taj Mahal is undoubtedly one of the most beautiful buildings in the world. It is believed that it took 22 years of labor to complete the construction of Taj Mahal by 20,000 workers. The focus of day trip to Agra is Taj Mahal, though there are many others worth visiting Mughal sites as well, such as Red Fort and Fatehpur Sikri. 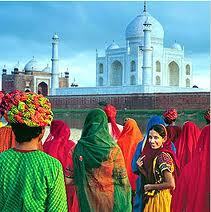 We cover all major attraction of Agra tours. The tour begins from Delhi except Friday (As Taj Mahal is closed on Friday) by luxury train early in the morning. It leaves from Delhi at 06:15 AM and arrives Agra at 08:10 AM. Breakfast will be served on board. On arrival you are met with our company’s representative and the city tour of Agra starts onwards. You will be provided Lunch at any five star Hotel during the day and after finishing your sightseeing, return to Agra cantt. Railway station to board train back to Delhi. Dinner will be served on board on way back. Train leaves from Agra at 08:30 PM and arrives New Delhi at 10:30 PM. Upon arrival, you are met and transferred to your destinations /Hotels in Delhi. People love the concept of Taj Mahal Tour in one day as it saves your precious time and avail the luxury at affordable price. Everyone knows that Taj Mahal is a must visit monument, when you are in India. We have prepared an itinerary for same day Agra tour that matches your schedule where you can have lots of fun in a day trip. This tour suits everyone from corporate travelers to the leisure travelers and also for the people who has short time for their Indian holidays. It is basically a train tour. We let you enjoy the luxury train journey from Delhi to Agra and vice-versa during a trip. You can make the most of Agra tour including the world famous building Taj Mahal, Agra Fort and Fatehpur Sikri in one day. Same Day Agra Trip is organized by Shatabdi Train. This tour is not operated on Friday as Taj Mahal is closed on Friday. You journey starts early in the morning from New Delhi Railway station, though your pick up is included in the tour package from your Hotel or residence. Shatabdi train departs at 06:15 AM every day except Friday. You will have breakfast on board and also the dinner on way back. Train reaches out there in Agra in less than two hours. You will be greeted by our company representative in Agra and taken out for same day Agra tour by Ac Car or Coach depending upon the size of the group, including Taj Mahal, Agra Fort , Fatehpur sikri and many other significance monuments too. During the day, a buffet lunch at Five star hotel is also included in Same Day Agra Tour. On way back, you will be transferred back to the Agra cantt. Railway station well before time to board Shatabdi train back to New Delhi. It arrives New Delhi at 10:30 PM. On arrival you will be picked up and transferred to your Hotel or residence. the monument with sunrise also as the opening time of Taj Mahal is 06:00 AM. Red Fort in Agra : This majestic fort was built by Mughal Emperor Akabar between 1565 to 1573.Agra fort is situated on the west bank of river Yamuna and northwest of famous monument Taj Mahal. It is built of red sand stone. Emperor Shah Jahan who built Taj, was imprisoned by his own son Aurangzeb in this fort for last eight years of his life. It is believed that an emperor Shah Jahan died in Musamman Burj. Agra fort is known for its magnificent rampart and incredible architecture. Entrance fee to the Red Fort in Agra is Rs.300/- per person for foreign national and for Indian national is Rs.20/- per person. Timings are 06:00 AM to 05:30 PM. Sikri. Timing to visit this monument is 06:00 AM to 07:30 PM. Entrance fees to Fatehpur Sikri is Rs.260/- Per person for the foreign national and Rs.20 per person for the Indian. Day trip to Agra is itself a life time experience for everyone as this is regarded one of the most beautiful marble building on earth. It was built by Mughal emperor Shah Jahan in 16th century by employing 20,000 workers for 22 years to finish this incredible work. It inspires people to come an often to see this astounding mausoleum because of devotion and love Shah Jahan had for his beloved wife Mumtaj Mahal was exceptional. Shah Jahan built the Taj Mahal in remembrance of his beloved wife who had died while delivering a child. It is often called as monument of love. 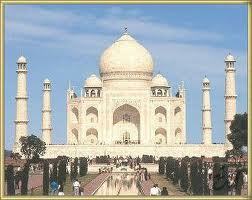 Agra is an important place to include in very itinerary of North India Tour. Now it has become a trend to include Agra , no matter which part of India are you. Same day Taj Mahal tour has become so popular amongst the corporate travels as well because of their tight and busy schedule but zest for glimpses of Taj Mahal. That is how we crafted Agra tour by luxury train Shatabdi where you can have lots of fun in one day trip Agra at fullest. Intricate carving on the marble stone which were used to built the Taj Mahal and its Mughal architectural style draws attention of millions of tourists worldwide. An idea to make such tour is to make everyone visit an exquisite building once in life time as it is worth spending few moments of life at Taj Mahal. Taj Mahal luxury train tour takes you to the city of Taj Mahal where you will get to see other important Mughal monuments apart from Just Taj Mahal. Other incredible Mughal sites are also worth seeing when you are in Agra such as Agra Fort, Fatehpur Sikri, Sikandara. Taj tour by train is an organized trip by SP Holidays and committed to provide you the best services during Taj Mahal Tour. If you are first time in India, it is also an opportunity for you to experience the India trains. We are using Shatabdi trains for the Same Day Agra Tour as Shatabdi is one of the best trains in India. To get Taj Mahal by Shatabdi train is the best way to explore the city of Taj. India is home to numerous historical monuments but Taj Mahal in Agra is a principle monument of India. Once you saw it, wish to come over and over again to this incredible place. Taj Mahal is outstandingly beautiful marble building, built by Mughal emperor Shah Jahan in the memory of his beloved wife late Mumtaj Mahal, who died while delivering her 14th child. Construction of Taj Mahal began in 1632 and completed in 1653. Emperor Shah Jahan had employed 20,000 workers for 22 years to complete this wonder. Apart from Taj Mahal, there are many more worth seeing monuments too that tells the story of rich Mughal era, such as Agra Fort, Sikandara and Fatehpur Sikiri. Agra is about 200 km away from Delhi and well connected by roads and trains. Using trains to get Agra is most convenient way to enjoy a visit to Agra. 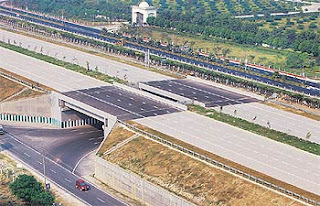 Though there are some really fast trains available to Agra city from New Delhi but you can go by road as well. It takes 04 hours to reach Agra from New Delhi and some prefers this to see countryside as well. When you are in India, Taj Mahal is not to miss monument. Day trip to Agra is accessible in a day from Delhi that is why same day Agra tour is so popular amongst tourist from all over the world. If you are looking for comfortable trip to Agra from Delhi in one day, than Shatabdi is a best train to board as it takes merely 1 hour and 50 minutes to reach Agra. Visitors use to use this train more often due to its time schedule that suits everyone who wants to do it in a day. There are many more trains to Agra from Delhi departs bit later to Shatabdi trains. There is also a Shatabdi train for coming back from Agra to Delhi that leaves from Agra railway station at 20:30 hrs in the evening. In that case you have complete one day to tour to Agra once arrived by train in the morning. You can visit Taj Mahal, Agra Fort and Fatehpur sikiri in a day at ease. Putting all the elements of journey together, we prepared Same Day Agra Tour in such a way where you get everything you paid for and beyond. You get breakfast in the train and dinner on way back. You can also enjoy delicious lunch during a day at any five star hotels in Agra. You are provided a guide during a sightseeing tour of Agra who reveals out history and many interesting facts related to the monuments. You get all the surface transportation in air conditioned vehicle. Agra is also a shopping hub for visitors as its marble, leather, brassware, jewels and rugs are worth watching out for.